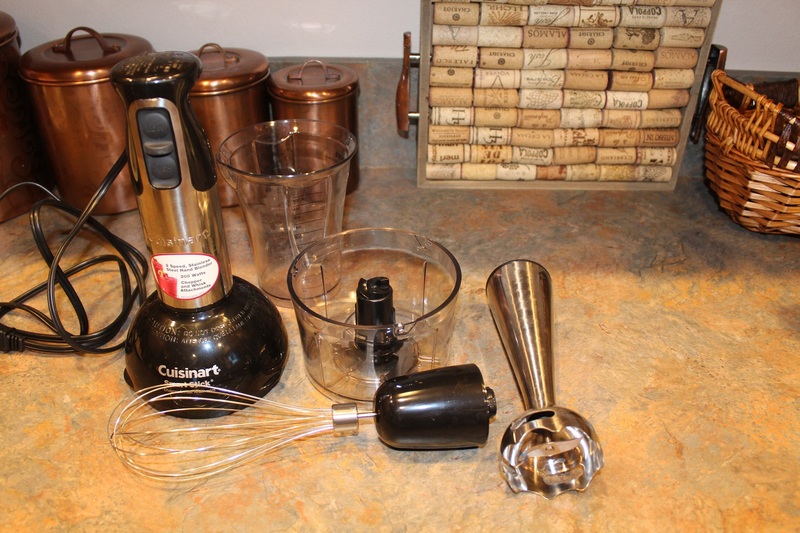 Way past time to post about another favorite Kitchen Gadget! And this one is beyond my favorite. This one had me stopping dead in my tracks the day I first used it. And apparently my life had no meaning before Sparky brought this home to me. He bought it for me sort of jokingly when I told it is was probably the only kitchen “toy” I did not own. Sparky? He too was awestruck when I plugged it in, pushed the button and pureed the soup in the kettle in 3 seconds. Meet my new love. 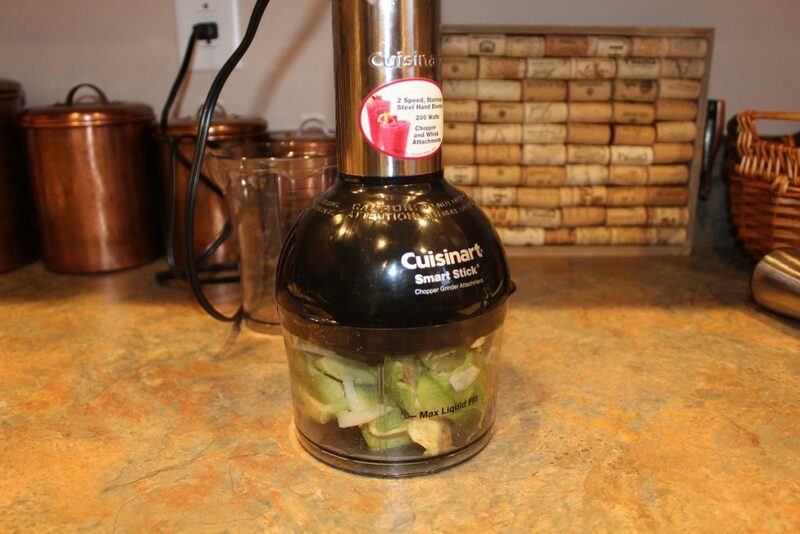 The Cuisinart Smart Stick. This little powerhouse replaces an electric hand mixer, a blender and a mini food processor. The immersion blender stick purees everything right in the cooking pot in mere seconds. Think Apple Sauce, Tomato Soup, Gravy and more! I used the whip last week to make Whipped Cream. It was awesome! 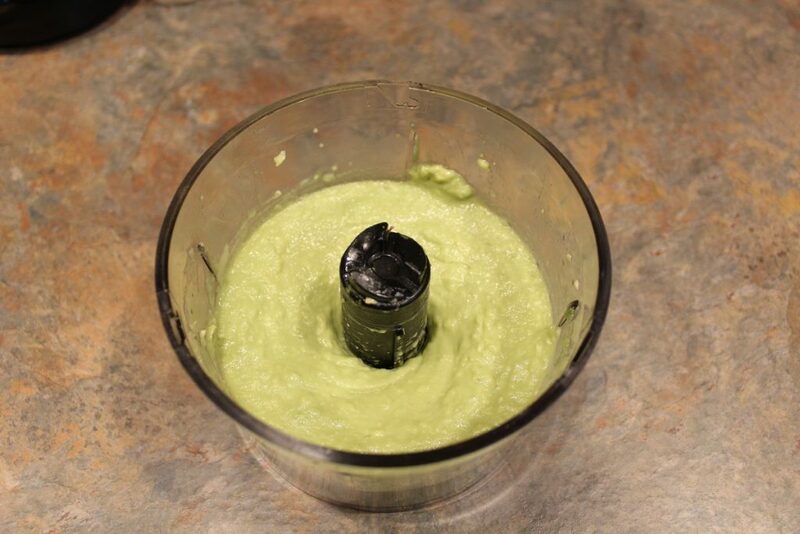 Today, this sweetheart was a mini food processor and turned Avocados into smooth, creamy Guacamole. Honestly, I don’t know how I lived without it. LOL! Just the perfect size food processor for small batch foods. Easy to clean and small enough to store easily. This one gets 2 Spoons up in my kitchen!